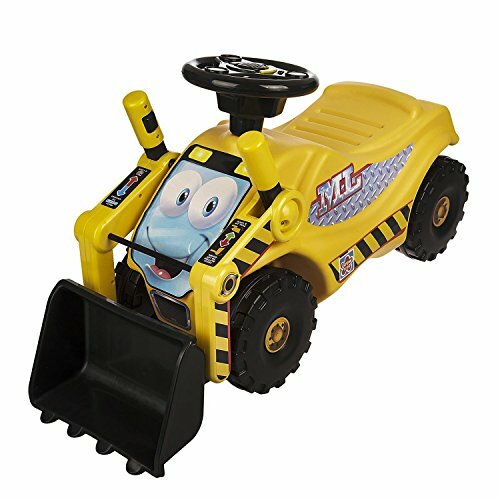 Mega Loader is Heavy-Duty Construction Vehicle with Lights & Sounds. Working Front Loader. Rigid Double-Wall Construction and Real Steering System. 5 Realistic Sounds. Indoor and Outdoor Use. For Ages 2 – 5, Maximum Rider Weight 50 Pounds. Products and prices are accurate as of post time: Friday, April 5th, 2019 4:26:18 AM Eastern Standard Time, prices and availability are subject to change.